RUSH: George in Ottawa, Ontario, in Canada. Great to have you here, sir. How are you? 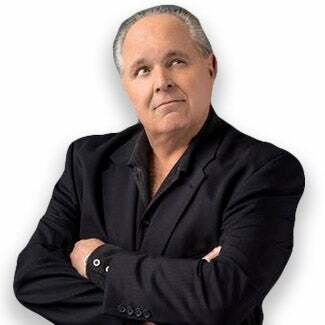 CALLER: Good afternoon, Mr. Limbaugh. I’m great. What a pleasure and a true honor to speak to you today. CALLER: Now that the Republicans control all three branches of government, my question is really simple. Why is it that when organizations have sued the Justice Department and State Department — I’m, of course, speaking of Judicial Watch here — for documents related to Hillary Clinton, Benghazi and everything else..? Why is it that State and Justice are so slow in releasing the documents that the judges have ordered to be released? And if it is the deep state that you talk about, then why isn’t Secretary Tillerson and Attorney General Sessions getting in there and kicking some tail to get this information out? RUSH: Well, in fact, that’s an excellent question. There are a lot of factors here. Number one is that there are still a lot of Obama holdovers in both places: State Department and the Department of Justice. Trump hasn’t even… I don’t want to say gotten close, but there are still a lot of appointed positions at various departments in the cabinet that Trump has not filled yet and when asked about it he said, “Well, we may not. ‘Cause we believe in smaller government. And this is part of the way we’re gonna do it.” Tillerson is whacking a bunch of weeds out of the State Department. But you’ve got generations of career people there, generations of Lois Lerners, the babe at the IRS — generations of people like Koskinen, the guy that runs the IRS — and they’re invisible, and they’re there. You never know their names, but this is when they pop up. Sessions — poor Jeff Sessions. You know, Jeff Sessions is in a unique position all by himself. His objective in… He’s got the job he’s dreamed of having. He’s wanted to run the Department of Justice, be law enforcement, head honcho for this country or have a prominent judgeship for a long time. He signed on to the Trump campaign ’cause Trump’s out there saying, “We’re gonna build a wall. We’re not gonna let illegals in anymore. We’re gonna get serious about kicking ’em out and putting ’em back in line. They’ll be coming back here legally and so forth,” and he signed up. He signed up early. He was the first member of the U.S. Senate to endorse Trump and become part of his team, and now poor Jeff Sessions is wondering what the hell’s gonna happen to this DREAM business. I mean, Sessions went out and announced that we are going to start enforcing immigration policy. It wasn’t long after that Trump went out and undercut it by announcing a deal with Chuck and Nancy. So Sessions wants to uphold U.S. law. He wants even stricter law when it comes to immigration. He believes that illegal immigration is destroying our culture, not just our economy. But it’s destroying the basic foundation and identity of the country. Illegal immigration. And he wants to clamp down on it. He is focused on that. But I’m telling you: The Department of Justice still has a lot of Clinton people in there, and they’re in there for this exact reason. These people, they go to Ivy League schools or wherever, and they are trained and this is their purpose. They grow up, they are raised — and then they are educated — to become part of government, to advance a particular political point of view. And that’s what they do, and they don’t think twice about it. And it would be impossible to root all of them out, in this amount of time, if it were even an objective, and I don’t think that it is. But a great example what you’re talking about is somebody went to the FBI — it might have been Judicial Watch or some special interest group — and made a Freedom of Information Act request for more Hillary Clinton emails. And the FBI said, “Nah, we don’t think anybody cares. “There’s not a valid public interest, so we’re not gonna make them available.” Not a valid public interest? 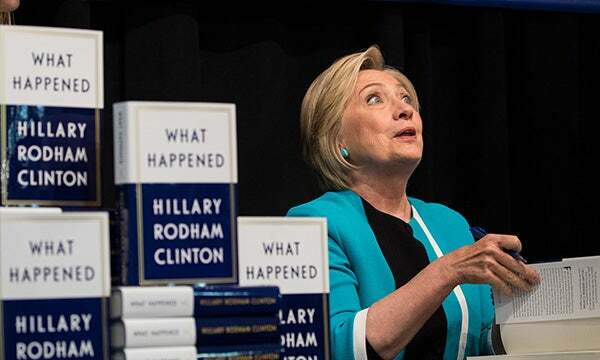 She had an illegal server. She almost could have been charged with felonious criminal behavior in this, and they’re saying there’s not a big public interest? Trump and his people are focused and occupied on other things, but I agree with you. It’s a frustrating thing because it boils down to what’s the purpose of winning? I have yet to meet somebody that’s genuinely conservative who wants to become a bureaucrat, who wants to become an invisible person working in the government advancing the conservative agenda. They want to work in the private sector. Government is not a focus of their lives. It is for people on the left, and over all this time there are career people at every bureaucracy in the tens of thousands. Weeding them out… You can’t fire all of them. Weeding them out would be a specific project unto itself, and it frustrates a lot of people. People ask me a lot about it frequently.